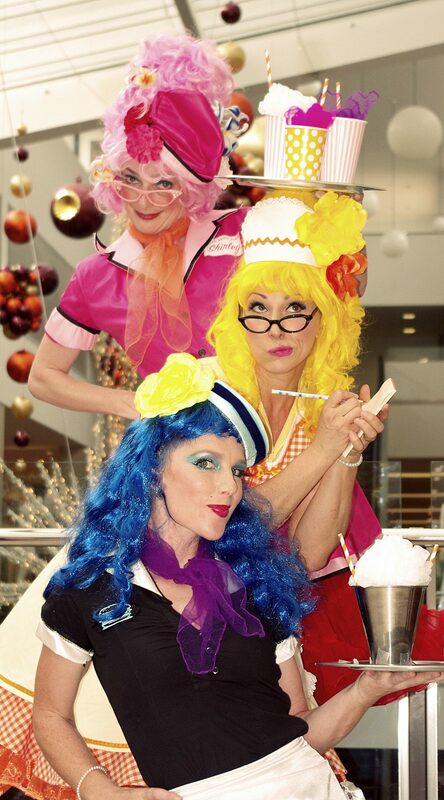 Shirley Shaker (The Milkshake Maker), Soda-Pop Sue (who brings bubbles to you) and Diner Darlene (who loves her caffeine) ARE AT YOUR SERVICE! 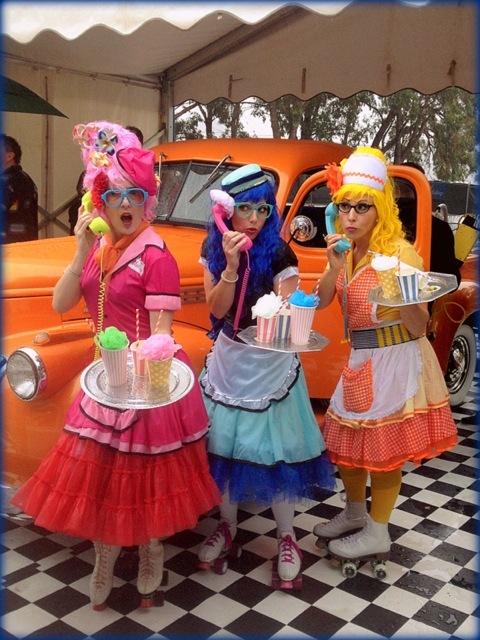 Revisit the delectable 1950’s Diners – with eye-popping colours, juggling and a dance routine to add to the sensational service on wheels! 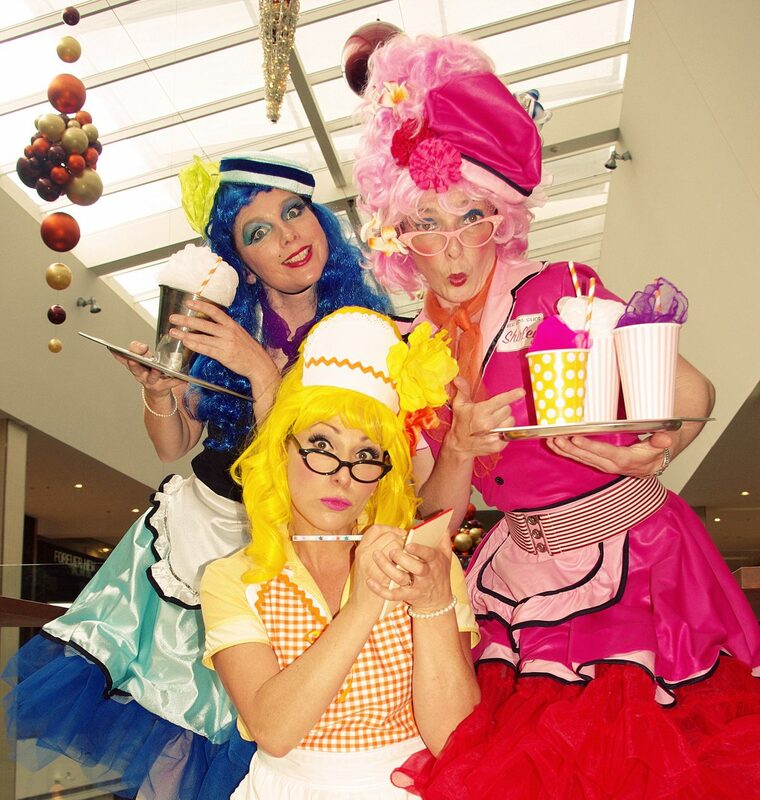 Perfect for Festivals, vintage birthday parties, family entertainment and corporate events needing an eye-catching twist.